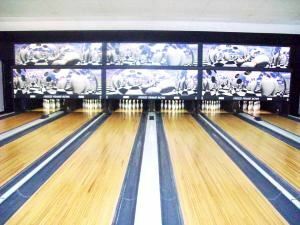 Freeze Frame Bowl is a six lane bowling center that offers a full service bar and restaurant. Book your next birthday party, anniversary celebration, class or family reunion or business meeting with us. We have special rates available that can accomodate your needs. Having a private party and want the building to yourself, call us for a quote. Our menu consists of over 80 items. We can cater to your requests and specialize a menu just for you. Looking forward to helping you with your next event!